The national sport in Thailand, Muay Thai is also known as the “Art of Eight Limbs” for its use of the fists, elbows, knees and feet. Muay Thai focuses on close, medium and long range fighting making the entire body a human weapon. The Muay Thai Adults System at JAI Martial Arts comes from Grandmaster Toddy, trainer to over 40 Muay Thai, Kickboxing and MMA Champions. He has created a program that is easy to learn, easy to apply and completely safe. Our authentic Muay Thai program is even accredited by the Thai Government as a genuine Muay Thai System. JAI Martial Arts is one of the only schools in Australia to be affiliated with Grandmaster Toddy and the Muay Thai International Association (MTIA). Our Muay Thai Adults System uses stand up striking combining the use of punches, elbows, kicks and knees, along with various clinch work (close range fighting). Strikes are numbered and are given meaning with their various applications as an attacking strike and as a defensive movement. Because of this, our Muay Thai system is extremely easy to follow and apply. Students are taught how to correctly defend the face, body and legs as well as a variety of striking techniques making the human body a human weapon. 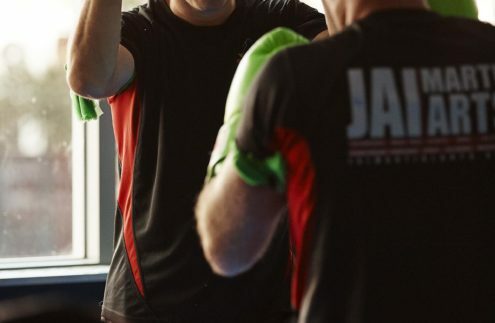 Apart from learning Muay Thai and self defence, our classes are a great way to improve your Fitness and Flexibility making Muay Thai one of our most popular programs for parents. 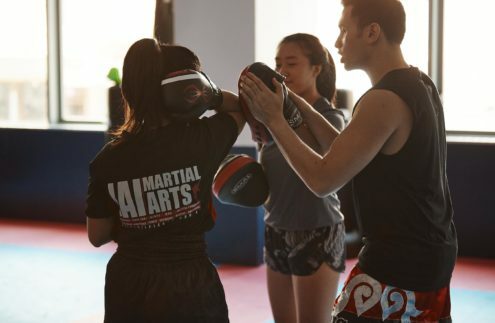 Whether you need a stress release outlet, a new way to challenge the mind and body, or looking to beat the gym scene, Muay Thai is the program for you. Private Lessons are recommended for beginner students. Work one on one with our Head Instructor and begin to learn the Muay Thai fundamentals in a class tailored to you. Muay Thai Private Lessons can be booked at times and days that suit your busy schedule.